Sometimes we need to resize a photo for uploading in a form or other, but we do not have Photoshop in the system. In this case, we need a tool that can help us in resizing or cropping photo according to need. Few people prefer Paint for this work. It is true that paint can solve your problem. You can also use any available photo editing software, but you need to learn those tools a bit. There are also a few online tools that you will give you a better result. You can use these free online tools to resize or crop your photo. In this post, we are adding a few online tools. You can use all to see which suits your work. As the name suggests, this tool is to resize photos based on the criteria. You can select a specific part of the image or revert the original image. There are also options to rotate the image or resize the photo by selecting the percentage of size. You can also choose the special effects and then output image format. 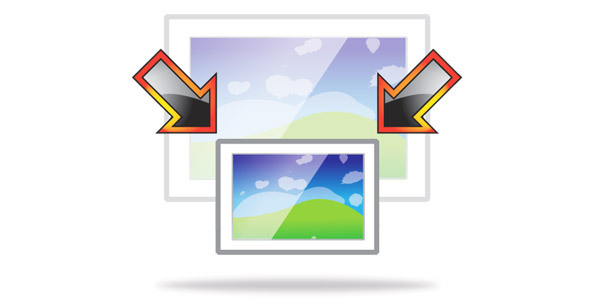 Web Resizer is another similar tool to crop, resize or compress photos online. It also offers editing options, so you can adjust contrast, brightness, and saturation of photos. You can also convert a photo into black and white. There is also an option to add a border to photos. It also has support for bulk image processing. As the name suggests, this tool helps you in resizing photos for social media websites. It has an option for resizing photos for social media websites, including Facebook, Google, YouTube, LinkedIn, Pinterest, Instagram, and Twitter. Not just this, you can also add a custom size option if needed. This tool is also similar hay lets you resize photos by percentage or custom size. You can crop or rotate images as well. It also has an option to optimize photo and compress its size if required. Like Picresize, it also gives you the ability to select the output image format. This is also a similar tool to resize images. You can set custom size or drag orders to resize. In case you also want to perform some kind of editing, this tool also has dedicated photo editing options for that. This is a really good tool and is fast in everything you want it to do. Befunky is a popular online photo editing tool. It also has a dedicated tool for resizing images. After uploading the image, you can use the left sidebar for crop or resize options. Along with that, you can also rotate the photo, adjust the exposure and beautify it. There are also other editing options, but those are only available for paid users. Reduce Images is also a good online tool for quickly compressing or resizing photos. You can either set the new size in pixels or use percentage option for resizing the photo. You can set the final image format and its quality before processing the photo. Quick Thumbnail is also a similar kind of online tool that lets you quickly resize, add a filter, and add watermark to your photos. You can Resize by Percentage or Resize by Fixed Sizes. There is also an option to apply filters on your photos. As the name suggests, this is a simple tool for resizing images. You just need to select percentage or adjust the dimensions manually. That’s it. This tool has no other option to try. Just image resizing option as it says. Shrink Pictures is also a similar online tool that lets you scale images. You can also add special effects or compress images depending on your need. In case you have lots of images to resize, this is a good tool to try. This is an interactive tool that offers bulk image resizing. You also get multiple resizing methods to use. Now you have a long list of online tools for resizing images. Few of those tools also offers options like rotate, compress or add filters. Depending on your need, you can select any of these online tools. You can bookmark the tool you like and use it when needed. If you know any other good image resize tool, you can let me know and I will surely add that in this list.